YumeTwins + TokyoTreat + nmnl Christmas Deal – Bonus Kirby Items with Subscription! YumeTwins + TokyoTreat + nmnl Cyber Monday Deal – $5 Off + Bonus Items with Subscription! 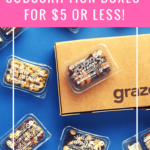 YumeTwins + TokyoTreat + nmnl Black Friday Deal – $5 Off + Bonus Items with Subscription! YumeTwins + TokyoTreat + nmnl Valentine’s Special – Free Bonus Box with Pre-Paid Subscription! "Update-I’ve never had much luck with their customer service via email, but they are so nice and helpful by phone..."
"Oooh! I’m intrigued by that layering oil!" "I found this on thei website: All Sigil Scent products are vegan and never tested on animals. Every formulati..."